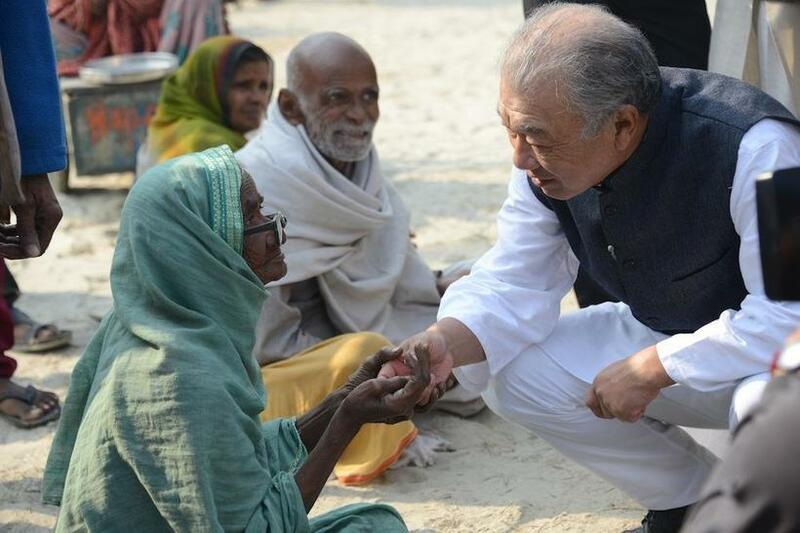 Mr.Yohei Sasakawa, WHO Goodwill Ambassador for Leprosy Elimination and Chairman of The Nippon Foundation, was notified by the Government of India on January 18 that he had been awarded the Gandhi Peace Prize for 2018. The Gandhi Peace Prize was established in 1995 by the Government of India to commemorate the 125th anniversary of Mahatma Gandhi’s birth. The panel of judges for the current award included Indian Prime Minister Narendra Modi, the Chief Justice of India, the Speaker of the lower house of Parliament, and the leader of the Indian National Congress party in the lower house. The award includes a prize of 10 million rupees (approximately 15 million yen, or US$140,000), and is one of the world’s most prestigious peace prizes, with past non-Indian recipients including Nobel Peace Prize laureates Nelson Mandela and Archbishop Desmond Tutu of South Africa, and Grameen Bank of Bangladesh. The award was given in recognition of Mr. Sasakawa’s work toward the global elimination of leprosy.